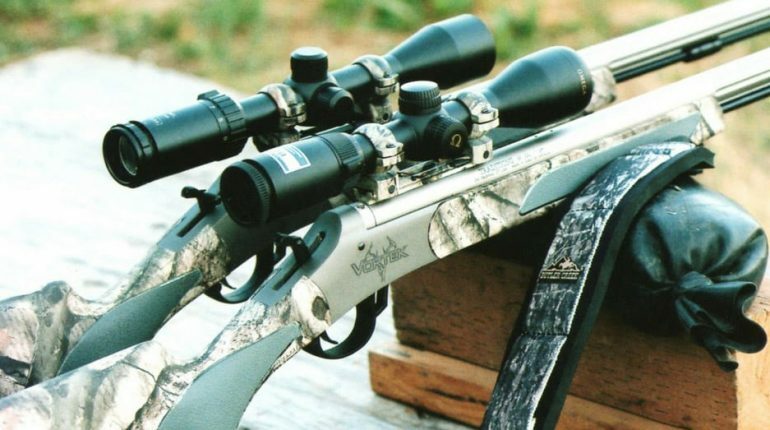 Best Muzzleloader Scope Review - How to define the best! Nowadays, people could acquire highly advanced, hard-hitting firearms with relative ease but that doesn’t mean all traditional weapons have fallen out of use. A lot of shooting enthusiasts still prefer to head out with classics guns such as muzzleloaders to test the limit of their skill and patience. Needless to say, while several improved models are indeed available, it often takes plenty of training to achieve a consistent level of accuracy with muzzleloaders. Fortunately, you should be to take advantage of modern accessories and increase your shooting precision. Having the best muzzleloader scope around would no doubt enhance your experience on the field. New to muzzleloading and don’t know how to pick a solid scope? Then this article here is for you. Down below, you would find some of the best muzzleloader scopes available on the market. The listed models come with specifications as well as reviews so you could grasp their field performance without much difficulty. Aside from that, a couple of shopping tips and tricks are also present to help you make a wise decision. Take a good look at the provided and you should have an easy time obtaining a high-quality muzzleloader scope. Is It Absolutely Necessary To Get A Specialize Muzzleloader Scope? Made specifically for inline muzzleloaders, Nikon INLINE XR receives a lot of praises from veteran shooters as well as experts. Boasting an eye relief of 5 inches, the Nikon optic let you shoot comfortably no matter what powder load you use. As the reticle of the scope is muzzleloader compatible, you would have an easy time landing shots on targets consistently. With the help of Nikon Ballistics Calculator, shooters could zero the scope to particular loads and bullets without much difficulty. At 3 – 9x, Nikon INLINE XR allow you to achieve tight shot groupings out to a distance of 300 yards and even further, depending on your skill. Since the Nikon scope utilizes a combination of quality glass and fully multicoated lenses, you could obtain high contrast target images from dawn to dusk. Through the convenient ¼ MOA adjustment turrets, you should be able to make quick modifications to the elevation and windage setting. The turrets are spring loaded instant reset so it’s simple for shooters to apply temporary changes on the field. Featuring high-grade aluminum and rugged single piece tube, Vortex Optics Diamondback is one of the best scopes for muzzleloaders. 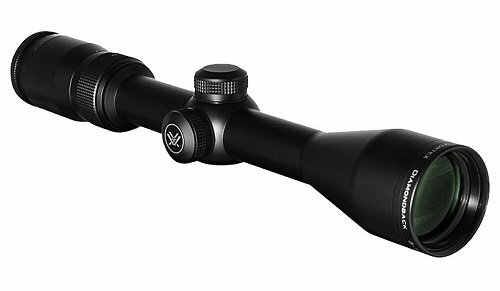 Due to its stable construction, the Vortex Optics scope is held in high regard by people that use heavy grain bullets and high powder loads. While the BDC reticle on the optic is not designed for muzzleloaders, you should be able to make good use of it after some practices. To calibrate the reticle, send a few rounds down range to determine the drop rate and assess the shot pattern. With a highly flexible magnification power of 3 – 9x, Vortex Optics Diamondback would match the needs and requirements of most shooters. At short-to-medium ranges, the Vortex Optics model should help you acquire and observe potential targets with relative ease. Furthermore, the use of fully multi-coated lenses ensures that the shooter optical vision remains crystal clear throughout the day. The sizable size of the lens also enhances the scope ability to gather available light. 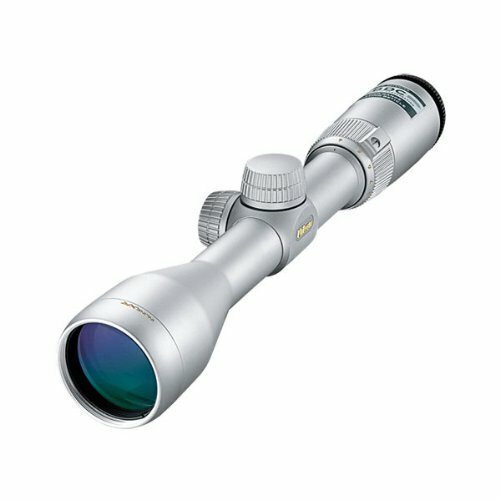 Searching around for a long range scope? Then Nikon ProStaff is the optic for you. Originally manufactured as an accessory for rifles, the Nikon scope could also deliver good results while being mounted on muzzleloaders. Thanks to a series of aiming circles on the reticle, the scope truly simplifies the task of compensating bullet drop. 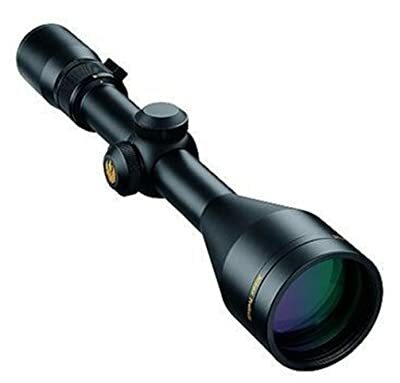 With a minimum magnification level of 4x and a maximum magnification level of 12x, the scope is capable of guiding your shots to distant targets. Similar to other scopes from the brand, Nikon ProStaff could be used in conjunction with Nikon Spot On Ballistic Match Technology to improve shooting accuracy. As a result, you should have no trouble nailing your targets again and again with the versatile Nikon scope around. The 3.7 – inch eye relief of the scope is not exactly perfect but it’s still enough to protect your eyes from most muzzleloader’s recoils. A handy quick focus eyepiece is also available which mean you could focus on targets of opportunity at moment notice. Basic and robust, Crosman CenterPoint Adventure Class is a nice muzzleloader scope for any shooters in need of something simple. Although the 2 – 7x magnification power of the Crosman scope is surely unexceptional, it’s sufficient for the average muzzleloading enthusiasts. Because the scope objective lens could be adjusted as you see fit, it’s pretty easy to eliminate parallax distortion. As the surfaces of the scope glasses are multicoated, the scope is able to gather surrounding light effectively and efficiently. Possessing a mil-dot illuminated reticle, Crosman CenterPoint Adventure Class permits you to shoot with precision in low light condition. The Crosman optic offers a total of 2 options regarding the reticle color: green and red. Filled with nitrogen purging gas, the scope tube is resistant against fob and moisture accumulation which make an ideal scope to use in the outdoors. The scope is accompanied by a set of high quality mounting rings so installation should only take a few moments. Could not mount a magnified optic on your muzzleloader due to local rules? Then Traditions Performance Hunter Series is the product you are looking for. Featuring a 1x magnification power, the Traditions muzzleloader scope definitely performs with distinction when it comes to close range shooting. The multicoated lenses of the scope provide shooters with crystal clear vision all day long. Even when you have to shoot in low light condition, the optical clarity of the scope glass remains top notch. Considering the fact that Traditions Performance Hunter Series is a short range design, it’s not a surprise that the scope chooses a standard Duplex reticle. At close distances, such a reticle would allow users of the Traditions optic to considerably accelerate the target acquisition process. As it’s waterproof, shockproof and fogproof, the scope should deal with pretty every challenge you could throw at it. For most of the time, the scope would have an easy time enduring recoils caused by muzzleloader up to 50 .cal. Similar to other purchases, the rule of thumb is” You get what you pay for”. There is a link between the performance of a muzzleloader scope and its price tags so dirt cheap product would not offer premium class performance. Nonetheless, there is no need to get the most expensive model on the shelves at all cost and burn through your money in the process. The industry has an excellent selection of quality and affordable muzzleloader scopes so why do you deliberately hurt your wallet? You could even attempt to put together a list of wanted features and capabilities before heading to the store to make a cost-effective decision. Ordinary muzzleloaders tend to offer shooters many options regarding powder loads and bullet choices, the more powder you use, the more powerful the recoil gets. Repeated firings could cause damage to internal components of lesser-made scopes or outright break them apart without much difficulty. Moreover, hunters that employ muzzleloaders should pay attention to the scope ability to hold zero after extensive shootings and maneuvering. All things considered, you have to make sure that the scope is robust enough to withstand hefty kickbacks and impacts. Although some people think that average muzzleloaders are inherently weaker than centerfire guns, they could nonetheless reach pretty far downrange. With recent advances in technology, people could land shots on targets at 150 – 350 yards with modern day muzzleloaders which is impressive. That is why you could grab a high power rifle scope and use it to good results on your muzzleloader. Of course, the shooting range varies from case to case when it comes to muzzleloading so don’t forget to take your situation into account. In the usual case, 2 – 7x is quite sufficient but feel free to push the magnification power up to 4 – 16x and beyond if you want to. As you already know, there are 3 styles of reticle on the scope market: Duplex, Mildor and BDC (Bullet Drop Compensator). People that own muzzleloaders, especially ones that use heavy bullets, often avoid Duplex style reticle while shooting at extended ranges. The bullets used by standard muzzleloaders have unique drop rates which make it tough for you to calculate proper drop compensation with classic Duplex patterns. 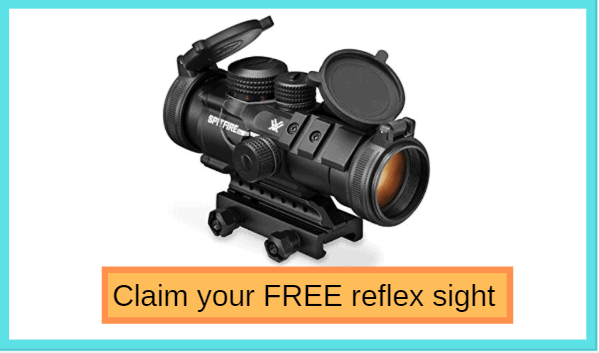 Therefore, it’s widely advised that you go for BDC reticle to improve your precision. Furthermore, you could get purpose design scopes for your muzzleloader, they have reticle designed for specific bullets and powder loads. Good muzzleloader scope must have crystal clear lenses, there is nothing more frustrating than to sight in a blurry scope. For outdoor uses, the lenses should be covered in a couple of coatings layers in order to maintain optimum operation in less than ideal condition. Depend on the coating composition, the light transmission rate and the abrasion resistance of the muzzleloader scope would change accordingly. While you are at it, take a quick glance at the lenses size as well. Large sized lenses gather light effectively and efficiently but they also require a high mount which is not always available. A couple of muzzleloader models released in recent years have mounting rails so you could mount scopes with scope rings. On the other hand, for muzzleloaders that lack mounting rails, you need to get your hand on some rings as well as a solid base. Be thorough while selecting these parts, you don’t want the scope to fall off your muzzleloader due to weak connection or change its settings. As different muzzleloaders would likely have different layouts, you have to mount the scope in an appropriate and ergonomic way. If you just mount the scope without consideration, the optic may interfere with the gun operating mechanisms or simply unusable. Generally speaking, a purpose-design product would perform much better than an all-purpose one. A specialized muzzleloader scope should be able to offer substantial improvements to your muzzleloading experience. However, if you mainly want to buy scopes that are compatible with multiple firearms then, by all means, help yourself. For most of the time, you could mount centerfire/shotgun/crossbow scopes on muzzleloaders and still capable of putting rounds after rounds on distant targets. Of course, the grouping may not be as good as with purpose design muzzleloader scope but it’s definitely acceptable. Given the design age, slow rate of fire and fairly mediocre accuracy, there are beliefs that that owners of muzzleloaders tend to face few restrictions. Actually, to legally shoot and hunt with muzzleloaders, there are a lot of rules and laws you have to keep in mind at all times. Regarding the scope, several regions and areas forbid the use of magnified optics on muzzleloaders. That is why it’s of utmost importance that you have a firm grasp on the local regulations and requirements before getting a muzzleloader scope. The last thing you want to experience is to get into trouble with the authority for violating clearly stated rules.